Nelly Saunier - one of the few artists who have mastered the technique of plumage. Nelly is able to build a kaleidoscope of colorful feathers on the dial Harry Winston Premier Feathers. The unique dial is made of pheasant and peacock feathers. As a result, the consumer court is exhibited delightful and elegant watches Harry Winston Premier Feathers. The novelty wears a case with a diameter of 36 mm made of white or yellow 18-carat gold. Put together three arches on the case show a Harry Winston boutique facade in New York, designed in a neoclassical style. The bezel is adorned with 66 diamonds. The Harry Winston Premier Feathers watch operates on the base of the manufacturing quartz movement. The new Harry Winston Premier Feathers watches come on satin straps in black, blue or brown to match dials, equipped with buckles made of white or yellow gold. 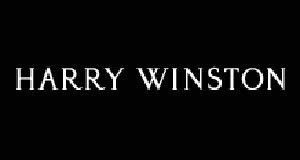 To buy the Premier Feathers watches is possible through the official representatives of Harry Winston.